Penn State Extension Philadelphia Master Gardeners : Peas, peas and more peas...please. Peas, peas and more peas...please. When I was a very small child, growing up in central PA, I remember how accessible home vegetable gardens were and in the beautiful garden that my parents planted I recall running through rows of string beans, potatoes, tomatoes, carrots, cabbage, radishes, beets, peas and even several 30’ rows of sweet corn. I bring up the past in today’s post because I remember with fondness how close we were to our food (literally and figuratively) and I recall, with a wink, how I would help with the harvest and by harvest I mean picking and immediately eating the yields, especially the sweet peas. 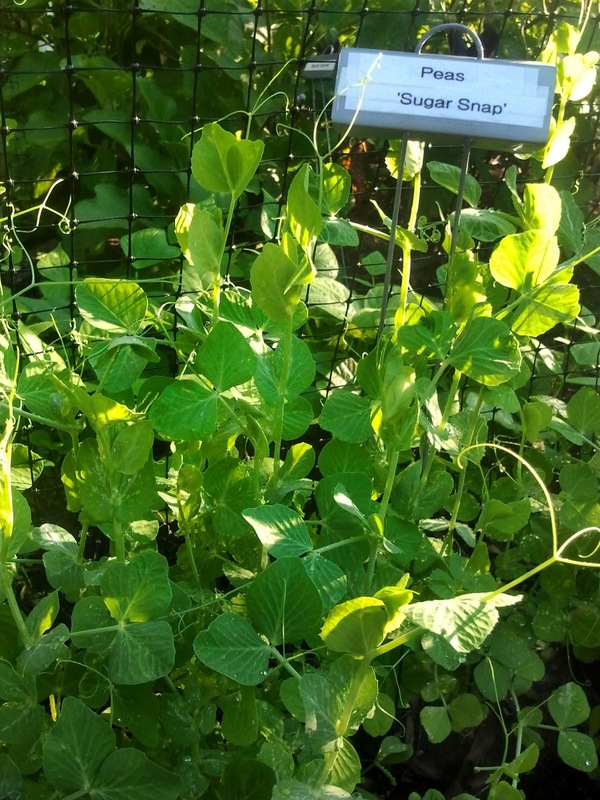 In this year’s PSU Edible Demonstration Garden you will find some tasty and tempting peas as well. Sugar Snap Peas to be exact. To get these wonderful green peas and pods plant them in average garden soil, full sun, don’t let them dry out completely and remember to support your plants. As it is with most plants in the pea family they are climbers and welcome the support. For vegetable gardeners with limited space you can grow your peas in pots and containers but make sure that you get the bush-style variety. Enjoy your peas and I don’t know about you but I can’t wait for the harvest!